From Judas Maccabeus; No. 44: Marsch. Composed by G. F. Handel. 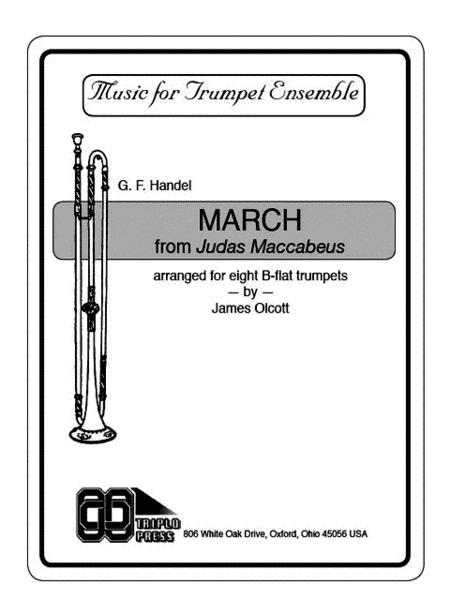 Arranged by James Olcott. Small Ensemble. Key: G Major. Baroque. Score and parts. With Standard notation. Composed 1741. 11 pages. Duration 1 minute, 8 seconds. Published by Triplo Press (T3.TRP-031). 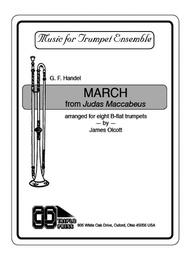 Two antiphonal choirs of four B-flat trumpets each. Very martial in style.